Not every 24th Century world is a lovely paradise. Pictured above is Farius Prime in 2374. 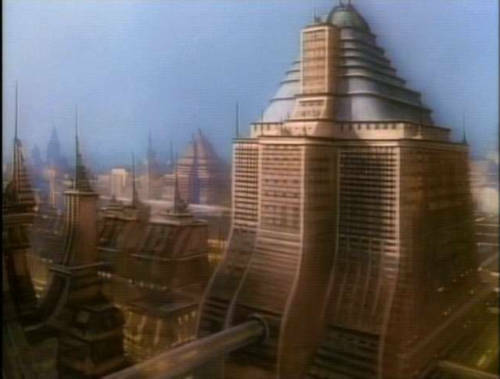 Before Episode I showed us the drab and occasionally dingy Coruscant cityscape, "Honor Among Thieves"[DS9-6] showed us this view of a 24th Century world with a seedy side. Beyond the overall dingy appearance of Farius Prime, note the interesting details. There is some sort of air tram on the right side of the image next to the small tower. That tower is evidently a rather tall structure, given that we cannot see the bottom at all. Indeed, there's no clear indication of street level whatsoever in the image, making the distant buildings impressively tall. The yellow markings toward the top of the tower are Farian script, visible throughout the episode. For at least some vague sense of scale, note the walking dude on the left side of the walkway bridge structure at the bottom of the image. The planet is not explicitly identified as a Federation world or a non-Federation world. The place has its own Klingon ambassador, as did Vulcan. The UFP is involved here given the presence of Federation Intelligence in regards to Orion Syndicate affairs. On the other hand, the Klingons could have ambassadors on non-aligned worlds just as easily. 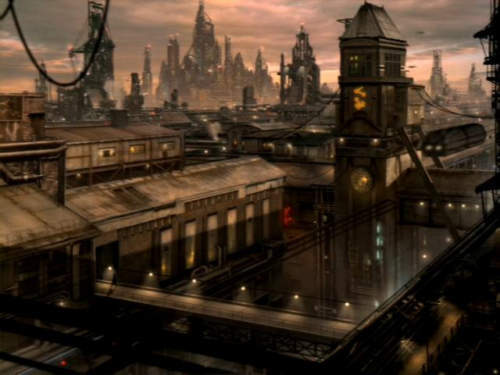 Bilby, a Syndicate member, is said to be in danger of going to a "Federation prison". 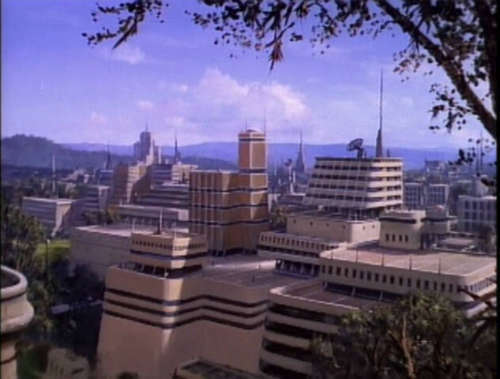 Bilby's family resides on New Sydney, which is explicitly (if counterintuitively) identified in "Prodigal Daughter"[DS9-7] as being a non-Federation world. Thus, we must assume that either Farius Prime was going to extradite Bilby to the Federation for crimes committed against it (a possibility, since they'd already allowed Federation Intel to operate on their soil), or else Farius Prime is actually a Federation world. The whole New Sydney issue is interesting in and of itself. It would make little sense for it to be an alien world, given the name, which would imply that it was an Earth or Federation colony that either did not join the Federation or withdrew from Federation membership at some point. It's unfortunate that more detail is lacking in that regard. 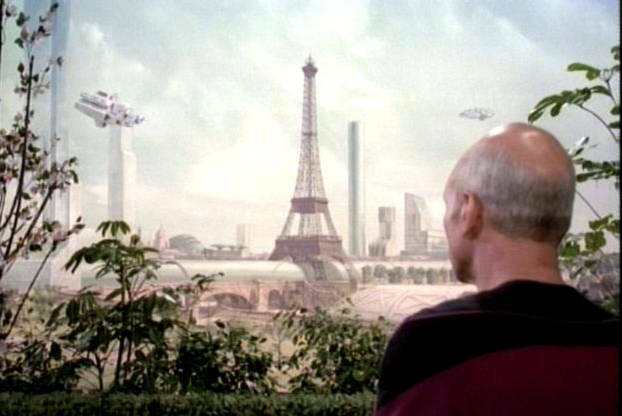 As seen in "We'll Always Have Paris"[TNG1] in a holodeck recreation of Paris circa 2342. Note the ugly flying vehicles. 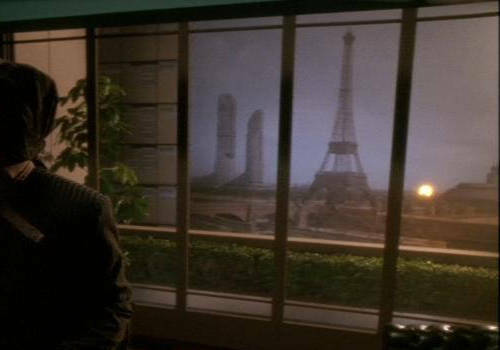 The same painting was used as backdrop for the President's office in Star Trek VI, set in the early 2290's. As seen in 2372's "Homefront" and "Paradise Lost"[DS9-4] . 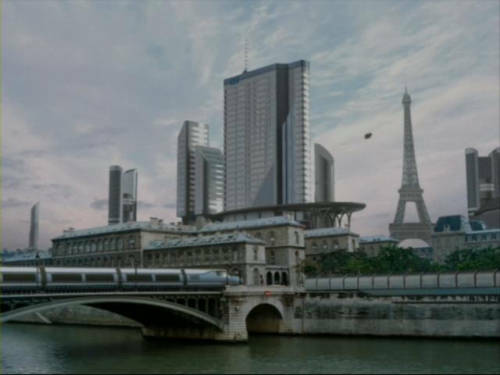 . . note that the tube beneath the Eiffel Tower has apparently been removed sometime in the intervening 30 years, and there may be some other missing buildings. Angosia, Roga Danar's homeworld, from "The Hunted"[TNG2]. The planet was applying for Federation membership. 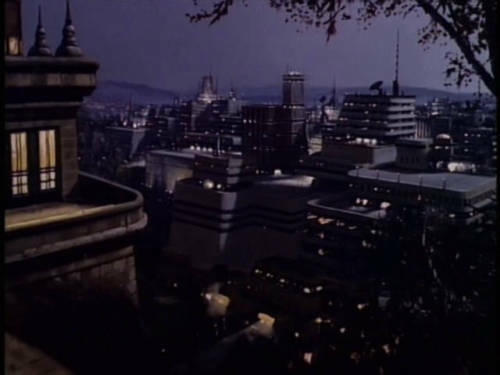 I don't believe a distinct street-level is visible in the scene . . . several contenders appear, but unless we presume numerous different street levels, then none are workable. Special thanks to "The Darkling" for correcting my assumption that New Sydney was a Federation world.